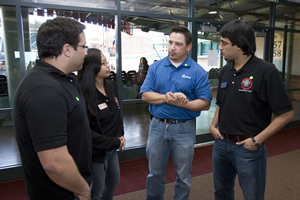 University of Houston C. T. Bauer College of Business finance students are racking up honors this spring, securing their standing alongside top-tier business students from across the nation and around the world. Bauer’s Cougar Fund now has bragging rights as the home of the best student stock analysis team in the country and third in the world, as determined by the Chartered Financial Analyst (CFA) Institute. 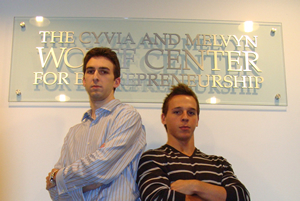 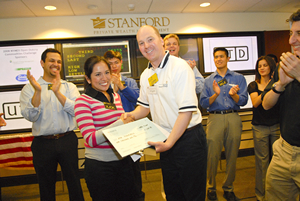 UH C. T. Bauer College of Business showed their market savvy at the NYMEX Open Outcry Competition on April 18-19, 2008. 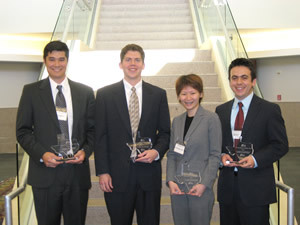 A team of UH C. T. Bauer College of Business students will travel to New York City for the CFA Global Investment Research Challenge, after beating teams from the University of Texas at Austin, Rice University and other Texas schools.